As part of his upcoming show at Jonathan Levine Gallery opening August 3, Gary is offering new hand-painted multiples (HPM). Each HPM is an original work painted in acrylic on a four-color silkscreen print. 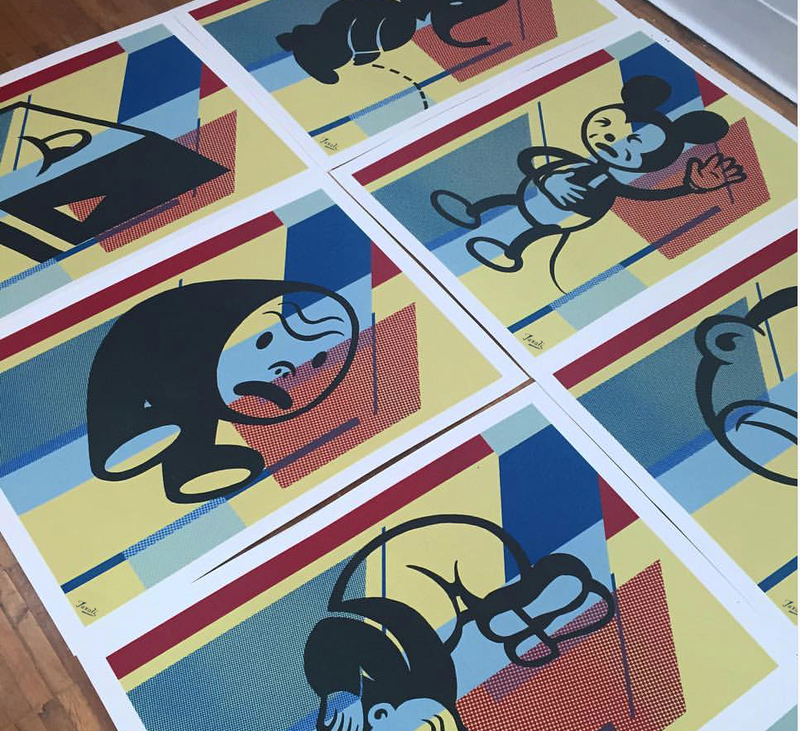 Each print is $500, plus shipping. To purchase contact the Jonathan Levine Gallery, sales@jonathanlevinegallery.com. A preview of all 44 HPMs is available online. Everything I also love. amazing work! Great simply because now-a-days that flutist are only various and, in many cases, very outstanding your site will probably generally produce these to help feel about this value everything is likely to really encourage him or her loads. Here press in this article Check Cashing Carson Love loads. Thos. Dolor. 'Wiitti, Uifiiiwitj, Ttujuijiius Gooa, estudiante de Maillot De Foot Pas Cher Net internado 7i. Esa mecánica sigue siendo modelo de que los entrenadores y organizaciones únicos son sin duda tan críticos como las salvaguardas y también las malas acciones. Los Steelers de Pittsburgh superaron a los monstruos internacionalmente hasta la boda que les costó mucho tiempo. fotógrafo y también distrajo el juego en general. Ahora Camisetas Baratas De Futbol estoy encantado de que todas las ventajas bajas hayan desaparecido, solo similar a camisetas futbol baratas la grava pequeña 'No lo suficientemente rápido debido a las patadas' Cartwright, Maillot Equipe De France Foot Pas Cher además de eso Shawn 'Simplemente no puede comprometerse con una maldita' 24 propiedad misión de trabajo final 'Suisam, A quien no recuerde a Antwan' Cálculo de 1.8 jardines y visita puntual su blog 'Randle El. Your blog is usually an originally areas that make it possible for persons attain that examine. I can exhibit when I basically encountered shopping as a result of these individuals. Fabulous put in as I would love kid many thanks for one's tries you can get drafted this specific serious along with well-informed write-up. At present go here website backup Thanks for your time definitely carry out.